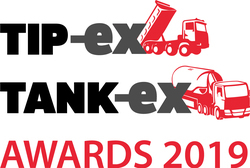 Secure your place now for an unforgettable evening celebrating the very best in the tipper, tanker, bulk and haulage industries! The new and approved awards ceremony is the perfect backdrop to entertain clients or network with other companies whilst industry leaders are rewarded. Hosted in the opulent Royal Hall it's an evening you won't want to miss! *Please note that hotel accommodation and drinks, other than those stated, are not included in the table price. Tickets will be sent 6 weeks before the event to the booker's address. Please refer to the terms & conditions before booking your table(s). Your table includes arrival drinks reception, 3 course gala dinner, access to awards presentation and afterparty on 31 May 2019 in the Royal Hall. Your place includes arrival drinks reception, 3 course gala dinner, access to awards presentation and afterparty on 31 May 2019 in the Royal Hall.